A power flush can help greatly increase the efficiency of your central heating system, however there are even more ways to increase your heating efficiency, one of the ways is to have your boiler serviced on a yearly basis, this can keep your boiler running efficiently and safely. Boilers are the heart of the heating system in most houses, however we tend to forget about them until they break down. Having your boiler serviced by a Gas Safe engineer yearly keeps your boiler working efficiently and increases its longevity, helping to keep you warm and safe throughout the winter months. For Landlords it is also a legal requirement to have all gas boilers in their properties serviced on a yearly basis. Not only will having your boiler serviced yearly keep it running efficiently, it will keep it running safely. An badly maintained boiler can begin to leak carbon monoxide gas, carbon monoxide gas cannot be seen or smelt, symptoms of carbon monoxide poisoning can be very uncomfortable and can even result in death. During a boiler service the engineer will check gas ventilation levels and test connections to your boiler for leaks, giving you peace of mind that your boiler is working safely and efficiently. Contact us today to arrange a Gas Safe boiler service. It is important to use a fully qualified Gas Safe registered engineer when having any work or servicing carried out on gas systems. Never attempt to work with gas systems yourself this can be dangerous and result in illness and death. Check the 'Gas Safety Register' website for further information. 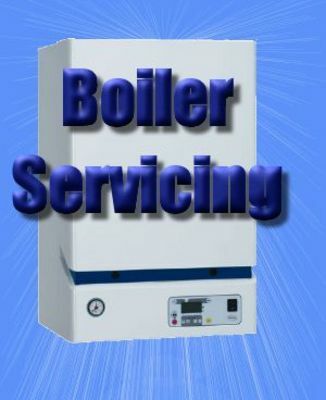 What is the boiler servicing process? There are many parts of a boiler service, upon arrival our gas safe engineer will check that the boiler location complies with current Gas Safety, Electrical and building regulations. These regulations can change regularly and if your boilers location doesn't comply with these regulations it will have to be moved before passing the service. After checking the boilers compliance with safety regulations the engineer will then examine all external controls and panels connected to the boiler, once the engineer is happy that these electrical components are working correctly they can move on to the main part of the service. Dust and dirt from inside the boiler will then be removed by the engineer and a gas tightness test will be carried out to check for any gas leaks in the system. The last test to be carried out by the engineer is an emissions test using a flue gas analyser. This part of the service tests the levels or carbon monoxide and other emissions from your boiler. If the emissions are within regulation amounts no further examination will be needed. 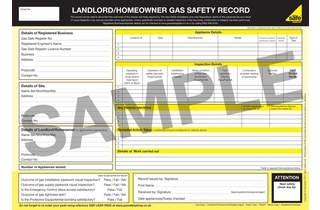 Landlords are required by law to have a valid 'Gas Safety Record' for every gas boiler in their properties. Power Flush Wizard can provide this certificate upon a boiler passing it's yearly service. Our engineer will also talk you through everything found during the servicing process and will discuss with you any repairs that are required and their costs prior to carrying out the work. We can work closely with landlords to arrange servicing and can offer special deals for landlords with multiple properties. Please contact us to discuss how Power Flush Wizard can help you with your yearly boiler servicing.